Sustainability in architecture and interior design is nothing new, and more often is (thankfully) becoming the norm. With an endless number of eco-friendly and sustainable products to use in your spaces, the task of narrowing down the options can seem daunting. We’ve listed 7 of our favorite sustainable design products to help you create more healthy, environmentally conscious spaces. Richlite’s website says it best: “Get the brawn with the brains.” These countertops are designed to be simultaneously tough enough for serious use and appealing to the eye. With the countertops’ through colors, heat resistance and custom edge design capabilities, it’s hard to believe that this sustainable product is made from recycled paper. Richlite's products also contribute to LEED points. Eco-friendly win-win! These handmade tiles are a sustainable step in the right direction. 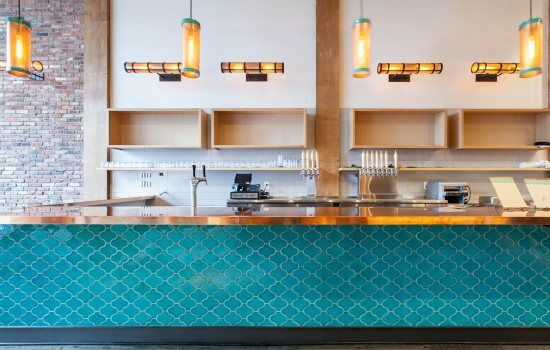 Made of recycled glass, porcelain, and lead-free paint, these bright tiles come in 150 standard colors and 24 standard shapes -- not to mention the custom capabilities. Fireclay’s company value of “treading lightly on our earth” shines through in their dedication to using post-industrial granite dust, locally sourced glass and local scrap porcelain. If you’re not familiar with this age-old, rapidly renewable product, we aren’t really sure where you have been. Essentially the epitome of sustainable products, bamboo is the fastest growing plant in the world (one to four inches in a day!) It can actually be harvested every three years without any damage to the environment. 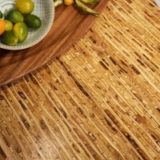 Bamboo is perfect for table tops, desk tops, cabinetry, wall paneling -- the list goes on and on. Sustainable and versatile - what’s not to love? 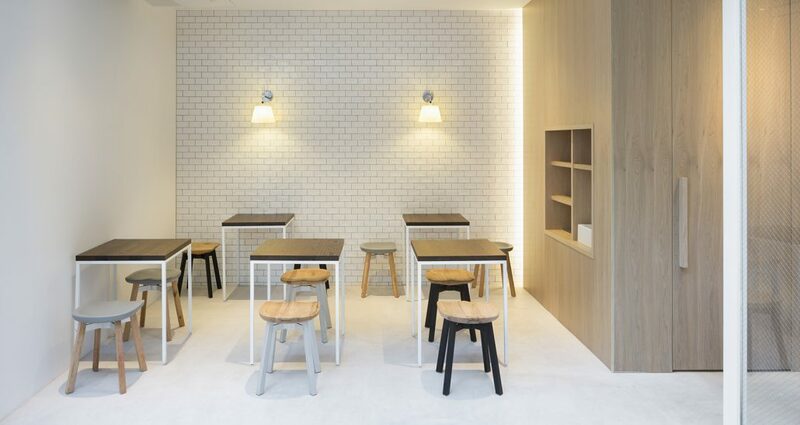 In Japanese, “Su” represents the idea of “plain” or “unadorned,” and this cork-based chair collection sticks to that idea in both simplicity of design and environmental footprint. Made of cork (a rapidly renewable and sustainable product) and aluminum, these stools and chairs offer both indoor and outdoor seating. Emeco also adheres to strict environmentally conscious decisions in choosing materials and methods that go beyond just making their product. “From Curbside to Oceanside” serves as Oceanside Glasstile’s company mantra, so this Southern Californian manufacturer does not only focus on providing sustainable products. Oceanside Glasstile’s goals also include targeting improvements in energy reduction, elimination of waste and green business practices. 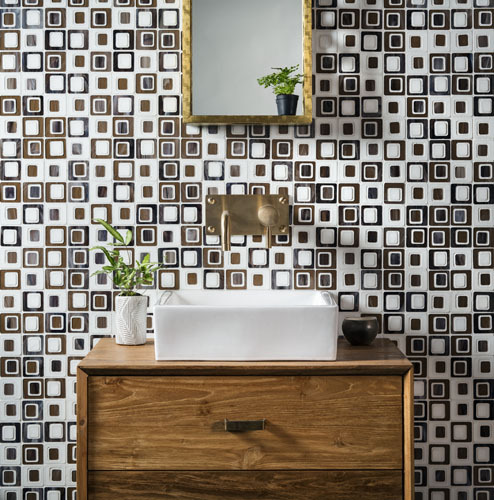 With an entire selection of stunning tiles, our favorite tile stands out from the rest. 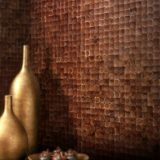 TheDevotion wall tiles are used to create stunning backsplashes and accent walls. 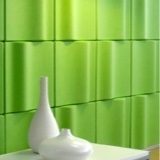 These sustainable tiles are available in 9 patterns and 30 colors. Designer- and earth-friendly all in one! If you haven’t seen any of Ecovative’s sustainable products, you’re missing out. This company grows - yes, GROWS - certified sustainable products that help designers create healthy, non-toxic spaces. 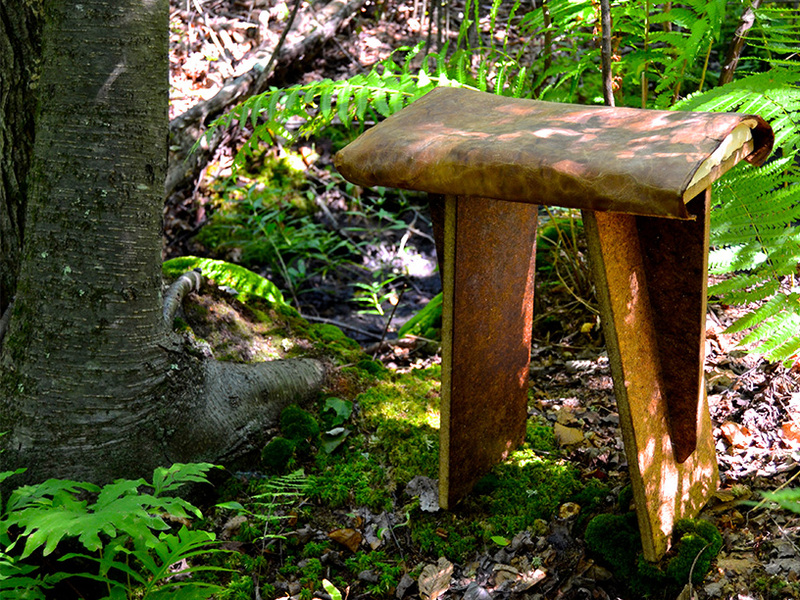 Using just three ingredients (mycelium, hemp, and starch), Ecovative creates furniture for your home and office. 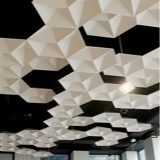 Their Myco Board serves as non-toxic wood that can be molded into custom shapes and panels. 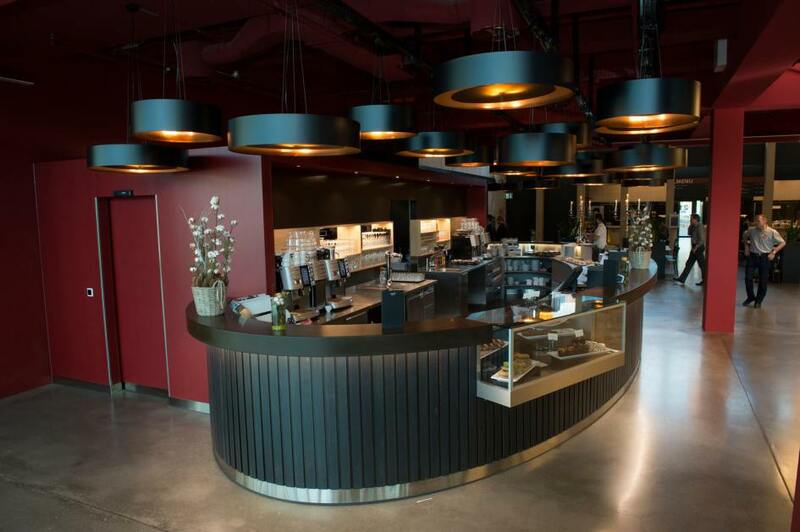 Ideal eco-friendly design solution for a multitude of spaces! 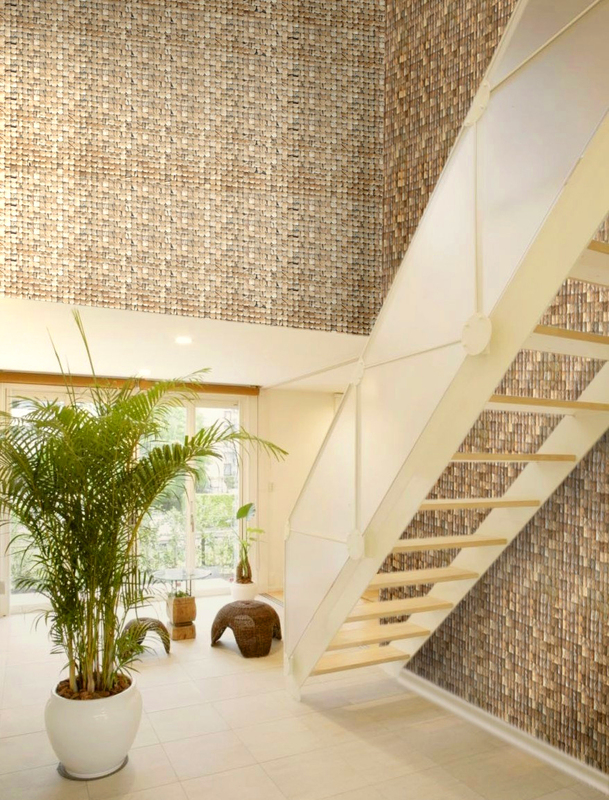 These coco tiles are renewable, recycled and ready to use in your next indoor project! Available in two styles and 8 different earth tones, this sustainable product adds perfectly to the design and aesthetic of any neutral-toned or tropical-themed room. Recycled from harvested coconuts, the husks turn into tiles that are either meshed-back or self-backed. These backings make installation easy using a low- or zero-VOC construction adhesive. Selecting sustainable products thankfully gets easier and easier these days. More manufacturers feel a responsibility to the environment to create healthy, responsibly-produced products, which leaves a lot of options for designers and architects to choose from. Looking for some ways to incorporate these products in your spaces? 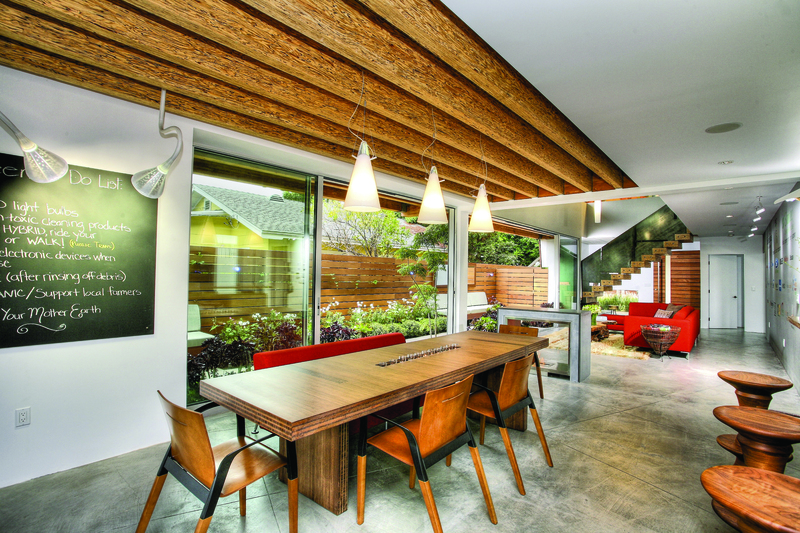 Check out these tips to create happy, healthy spaces!